kc bob: Are you short on ears and long on mouth? Love the Stephen Covey quote in this image. Here are a few more. Does typing count as talking? 'Cause if'n it does, I'll shut up, listen AND hear. That comment made me smile Eddie. Thanks for the grin! Love the quotes Bob, especially Criss Jami's. I really try to be a good listener but my bias does creep in I'm afraid. Thanks Sue. 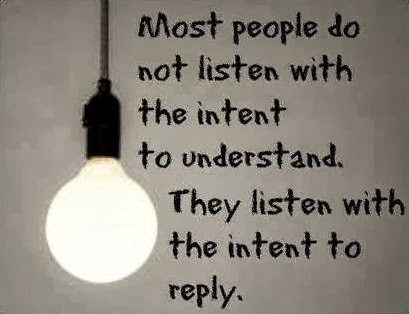 I wonder if listening without bias is a gift.